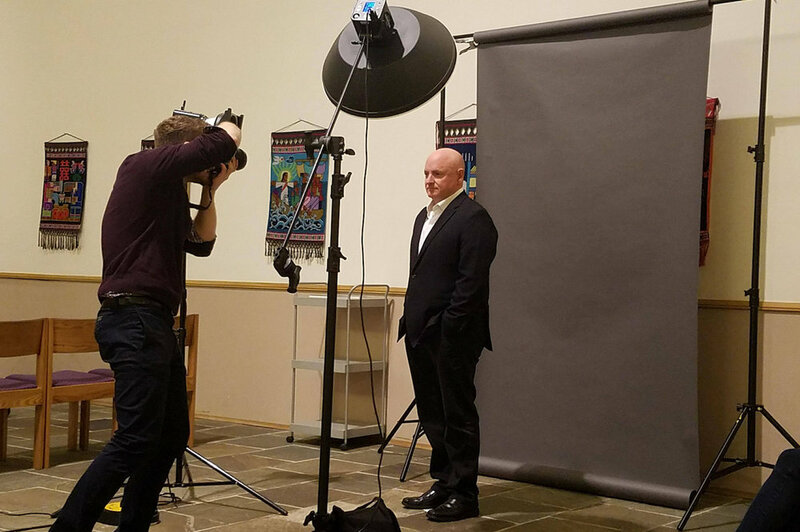 This week, I photographed NASA astronaut Scott Kelly, whose 340-day trip to the International Space Station was the longest space visit in American history. Kelly was promoting his new book, "Endurance: A Year in Space, A Lifetime of Discovery." The photoshoot took place in the chapel of University Temple United Methodist Church in Seattle, where Kelly was speaking that night. I designed two setups, one on a white background and one on a black background. The first (white) would show the astronaut floating, isolated, with no sense of spatial anchoring. The second (black) would show him emerging from darkness. I was given five minutes for the shoot, but finished in two or three. Thanks to photographer Daniel Berman for the assist. Read about Kelly's visit in Columns Magazine.